With the latest PCLinuxOS installed. 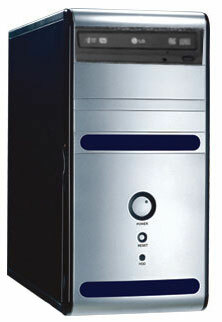 COMPUCASE 6K28 400W SLR/BLK MICRO-ATX 1ea. MSI GF615M AM3 Mainboard 1ea. LG GH22NP20 DVDRW DL 1ea. SeaGate 250GB SATAII 7200rpm 16MB HDD 1ea.